embryos has made the possibility of conception after death a reality. Recently, a child was born twenty-four years after the embryo that eventually grew into the baby was created. We do not know how long embryos or gametes (ripe eggs and sperm cells) can be frozen safely used. We know there is a lot of time for parents to die before their children are born when assisted reproduction is involved in the process. There are a number of ways your child can be conceived or born after your death is growing. Various methods of IVF (in-vitro fertilization) can be used to create the possibility of your genetic child being conceived after your death. Your spouse or significant other is pregnant with your baby when you die. In the United States, postmortem sperm retrieval (PMSR) is done under The Universal Anatomical Gift Act of 2006 which governs donor organs. The Act was not written to address the issue of PMSR. The ethical issues surrounding PMSR are not yet addressed in our laws. A Human Right that courts often address in battles over the custody of embryos where one individual changed their mind about wanting to use them—the right not to reproduce without permission—comes up in relationship to nearly every PMSR request. When someone dies unexpectedly, wives and parents of a deceased man are requesting postmortem sperm retrieval more frequently. Parents of a deceased child who was their only path to becoming grandparents request PMSR in order to become grandparents. Some parents of a deceased child have hired surrogates to give birth to grandchildren and entered into contractual arrangements that provide them with visitation rights but not with the right to make parental decisions. It’s actually a fairly good fit for a single professional woman who wants a child but doesn’t want to marry. She gets an extra set of loving grandparents, her child gets more people who will love the child, and she may get financial assistance during the pregnancy and for her child after it is born. Some facilities are unwilling to do PMSR without explicit written instructions. A conversation with your wife and/or parents about whether this is something you would want, and whether you would agree to it, should be documented in your Will or a document similar to your Living Will. A study published in Andrology, a scientific journal focused on health issues specific to men, indicated that an overwhelming majority of men who bank sperm during their lifetime, would consent to have a child of theirs conceived after their death. This data cannot be extrapolated to the general population, but it is helpful in understanding that the concept may have wide approval. Whether or not you would want to consent, talk with a Family Law Attorney about how to best document your preference to facilitate or prevent PMSR, according to your personal preferences. Your instructions should include information about who would have access to your sperm after your death if you grant permission. Some experts suggest that a mandatory waiting period be applied to the use of, not the retrieval of, PMSR. This is a psychologically sound recommendation because the stress of grief can interfere with good decision making. It is also sound from a physical health perspective for the child because grief is stressful and a mother’s stress during pregnancy can affect the health of her offspring in detrimental ways. Who Inherits your Embryos and Gametes? If you leave behind embryos, banked gametes, or decide to allow PMSR, you’ll want to decide who inherits them or how you want them to be disposed of and indicate your preferences in your Will. Even if you haven’t stored any and don’t plan to if you are using IVF with fresh embryos, what would you want to happen if you were to die between the time the embryos are fertilized and when they are implanted? There have already been some court battles over what to do with embryos belonging to deceased individuals. The state generally does not consider relationships that are not based on legal definitions of relatives. It also doesn’t care if you like them or not. These are many of the reasons it is a good idea to have a will to reflect your wishes. For example, a couple without children who do not have a Will and are residents of South Carolina would be treated the following way under the Intestate laws of South Carolina. 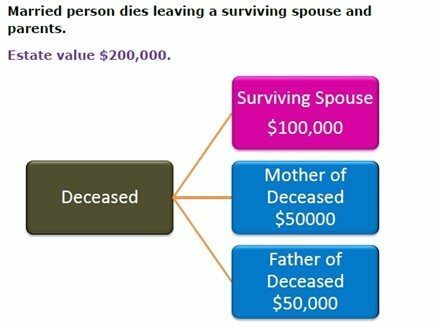 If the estate was worth $200,000, the entire $200,000 would go to the surviving spouse. If the couple moved a few miles away, to North Carolina before one of them died, the situation would change significantly. 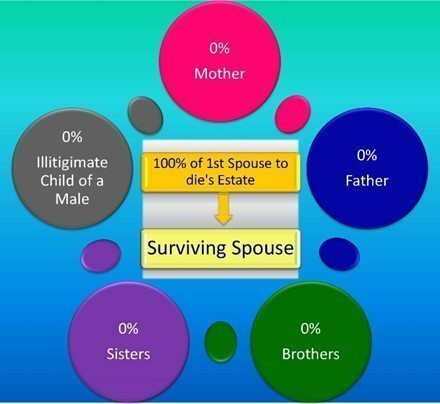 Most states have a provision to consider After Born children in the estate if they are born within ten months of the death of their parent. Children born later than that are usually excluded by law from the estate. The only way to provide for After Born children who are born more than ten months after you die is to do so in your will or a trust. It is unlikely that After Born children will qualify for benefits under Title II of the Social Security Act. The Supreme Court ruled that “child” in such cases will be defined based on the State’s definition of a child who is entitled to inherit from the deceased parent’s estate under the State’s intestacy laws. Since it is common to limit heirs to those who were conceived during one’s lifetime, children born from IVF procedures that occur after the parent’s death will not be included unless state’s change their laws. Will States Include a Longer Period for After Born Children? It is unlikely states will change their laws and include After Born children conceived after the death of a parent as heirs because doing so would delay distribution of the estate and could, conceivably, delay settlement of an estate until such time as no viable embryos or gametes remain. Since we know that viable embryos can survive for a quarter of a century, the automatic inclusion of such children as heirs creates more problems than it solves. Given the SCOTUS decision to use state’s intestate laws as the basis for approving or denying Social Security Survivor Benefits to children, changes in state intestate laws would have far-reaching ramifications on the level of benefits paid. A secondary market for donor sperm from deceased fathers could spring up if the children would be entitled to benefits. The public policy benefits do not outweigh the potential abuses that could occur. When the potential that you will have a child who is conceived after your death exists, it raises legal and estate questions that are best answered by you during your lifetime. The first thing you want to do before considering After Born children in your Will is to decide whether you want to provide for them. If you want to provide for them, the question becomes how you want to provide for them. 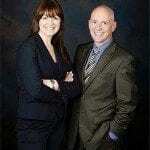 Will they be considered equal heirs with any children you had and knew during your lifetime? Will you establish a testamentary trust to hold some of your assets for them in case they are born and distribute those assets to your other heirs if no children are born from your genetic material within a specified period of time? Will you purchase life insurance specifically to provide for them since they won’t be entitled to Social Security Survivor Benefits? Once you know how you want to address After Born children, talk with a Family Law attorney to write a Will that reflects your desires.